'Dusky Billabong' OGB (Jo Tunney, R. 1998). AB, 29" (74 cm). Midseason bloom. 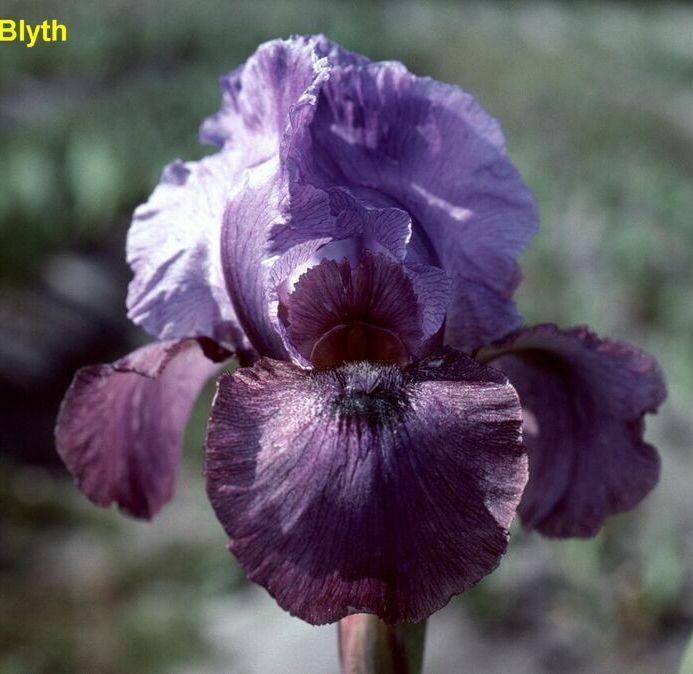 Standards violet, veined darker, laced; style arms grayed red, large lacy crests; Falls beetroot purple, veined and speckled darker, bright purple center, dark purple black thumbprint signal; beards violet, tipped ochre; slight sweet fragrance. 'Cool Oasis' X 'Aril World'.